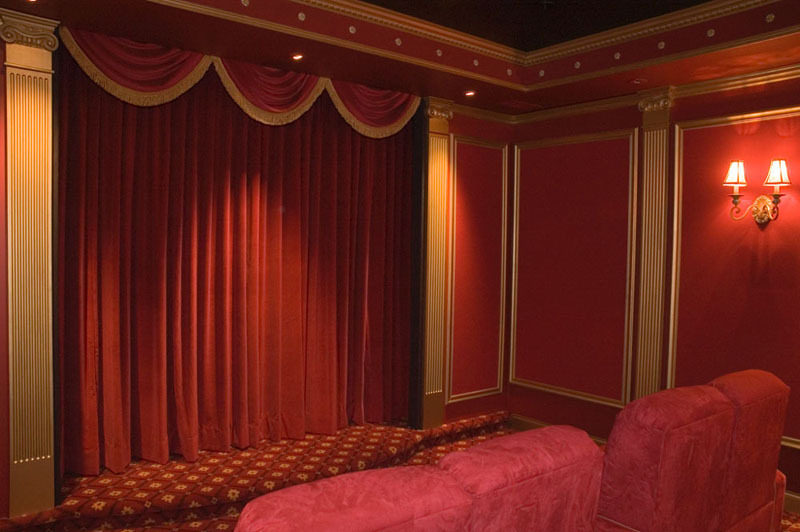 We offer full in-house CAD design services with over 20 years of experience in the design and construction of custom home cinemas. 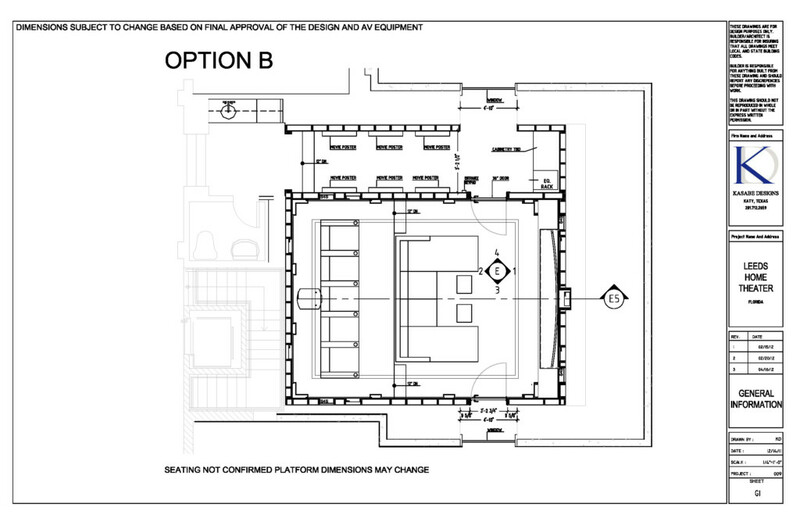 Below is an example of a basic set of drawings for a custom home cinema project. Any design ideas the client may have noted from magazines or websites. 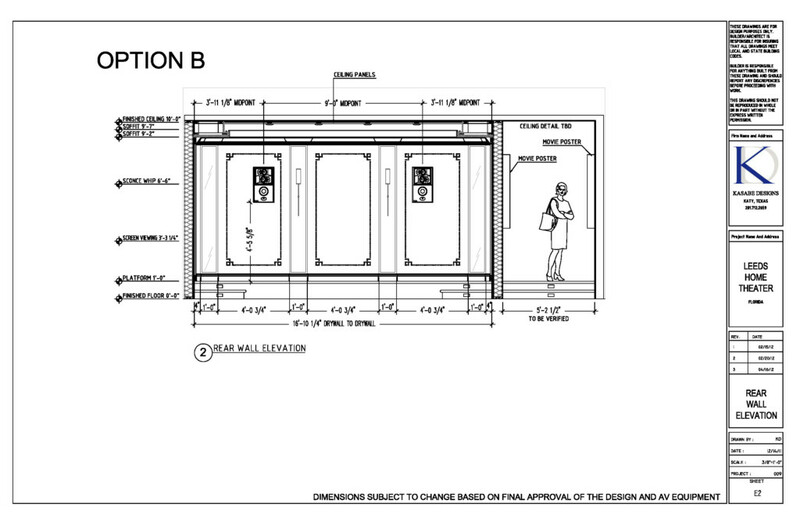 This will help in our initial design meeting to confirm the design direction. Platform and Stage-Construction details for building the platform, stage, proscenium, and any other elements as specified for the trades to build.